CHICAGO March 20, 2019 — Diana’s Bananas, Inc. has been selected for the 2019 Best of Chicago Award in the Ice Cream & Frozen Novelties category by the Chicago Award Program. Various sources of information were gathered and analyzed to choose the winners in each category. The 2019 Chicago Award Program focuses on quality, not quantity. Winners are determined based on the information gathered both internally by the Chicago Award Program and data provided by third parties. No matter how you say it, we can agree that a field trip involving chocolate is going to be good! 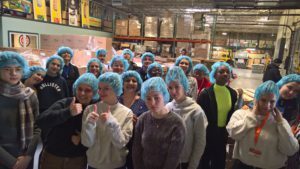 On Tuesday, March 12th, Diana’s Bananas welco med 15 high school students and 3 teachers from Paris, France. 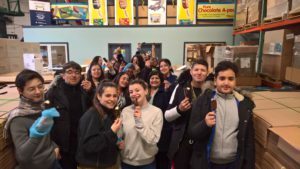 Oak Park River Forest High School French teacher, Rena Mazumdar, coordinated a field trip for her French Exchange Program students. 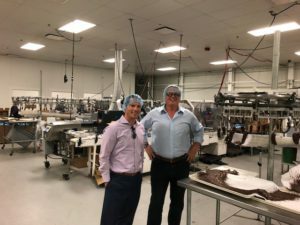 Among the many Chicago favorites on their itinerary, Rena knew a tour of our facility would be a fan favorite. The students were intrigued with the operation, which included drinking small samples of our liquefied chocolate. However, things turned a little chilly as we slowly walked them through our freezer. At the end of the tour, everyone was treated to chocolate dipped bananas, which they agreed are the World’s Best Chocolate Dipped Frozen Banana. As they left they all said “Adieu et merci beaucoup”. Hop into Springtime with these Diana’s Bananas April 2019 Specials! Just in time for Spring! Enjoy our delicious, frozen, chocolate dipped Banana Babies and Banana Bites! They are a refreshing treat to enjoy in Spring and anytime of the year! Don’t miss on treating yourself and others!! See the list below to see these great deals! Family lifestyle blogger, Little Helpers in Life with a little help from her family, recently tried Diana’s Bananas products and could not be any happier that they did! 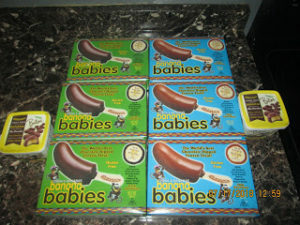 They tried Banana Bites and Banana Babies in both milk chocolate and dark chocolate. What they found is that Diana’s Bananas products to be a healthier alternative to ice cream, as one little reviewer thought he was eating banana ice cream! Besides being the perfect snack size, they liked that our Banana Bites and Banana Babies Dark Chocolate are gluten free, too! 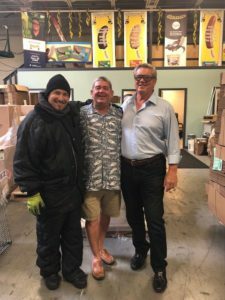 Check out Little Helpers in Life full review, here, and be sure to pick up your favorite Diana’s Bananas product today! We are keeping the summer going with these great deals across the country! Check out the list below to find Diana’s Bananas Banana Babies and Banana Bites on sale at these stores this September. Our chocolate dipped frozen bananas make a great after school treat or healthy dessert. Pick up a box or two…or three…or four with these great deals (be sure to check with your local store for the delicious details, these dates and participation are subject to change).